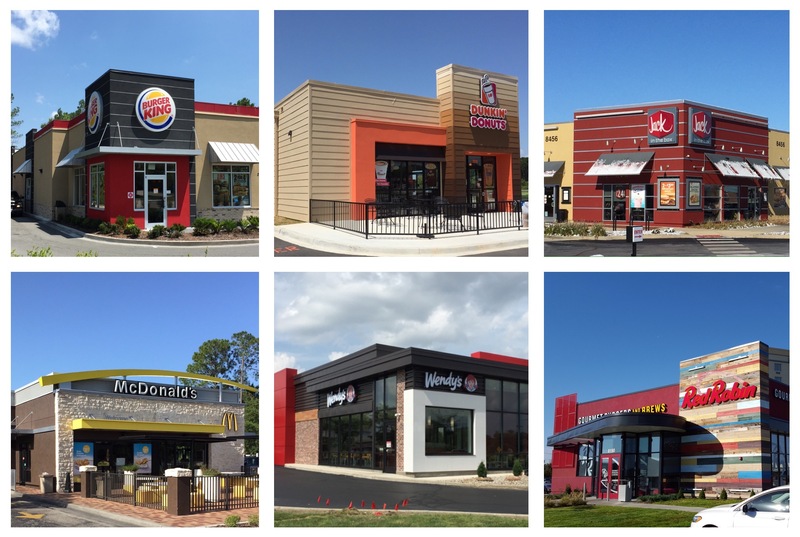 Design Invades Fast Food Architecture of Suburbia Its been over forty years since the architect Robert Venturi, along with Scott-Brown and Izenour wrote the seminal work Learning from Las Vegas where the authors celebrated decorated sheds as simple forms that could be imbued with symbolism and meaning. Fast forward to the twenty-first century where Las Vegas is a major metropolitan city and a strip in name only. Meanwhile the traditional suburban strip is proliferating across America and corporations are reinventing the retail landscape by branding the box they inhabit. Symbolism and meaning was an attempt to theorize a way forward for designers to create a more substantive built environment, which is more useful in corporate and institutional architecture, but not very useful when selling hamburgers or coffee. This is where branding is intended help companies stand out in a crowded marketplace. From a bricks-and-mortar perspective branding is the integration of marketing with built form. Marketing that integrates sophisticated graphic systems including lifestyle photos, menu boards and signs with an almost zealous use of typeface, logo-marks and tag lines to create an environment so imbued with branded meaning that it has usurped a lot of legacy marketing from Madison Avenue. And that is the point, omni-channel content has democratized marketing and advertising which is done largely in-house by corporations. So where does that leave the bricks-and-mortar style of the strip today? Mansard roofs, red brick, white classical trim and bronze storefronts were ubiquitous when Learning from Las Vegas was written. Today these forms have been replaced with a new millennia vocabulary. A style that combines interlocking forms, combinations of varied materials, textures and colors in sophisticated asymmetrical compositions. Trending style elements include horizontal slats and reveals, textured materials, clear anodized storefronts and primary colors-typically red which seems to be the color de jour. So while corporate meaning, messaging and branding might be unique from retailer to retailer, its amazing how style elements trend and architects all follow in herd like lock-step. Bottom Line: Branding is bringing meaning back to the strip. Not the strip of Las Vegas but of main street, and not of mom-and-pop merchants, but rather of major corporations. 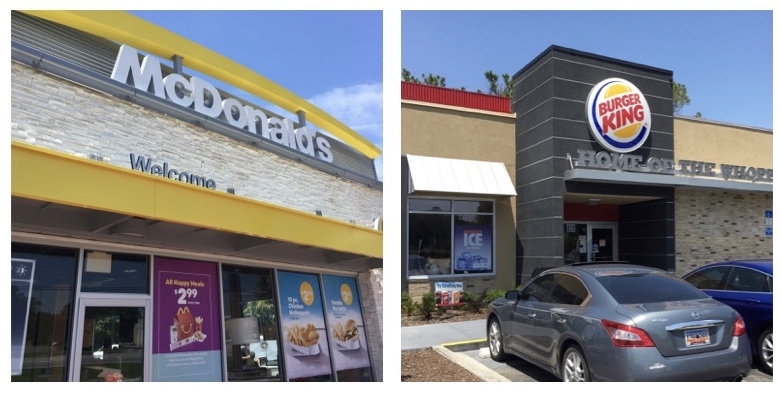 Corporations wanting to maximize their exposure to customers through bricked-and-mortar locations infused with the latest marketing and branding techniques, just watch those architectural trends.